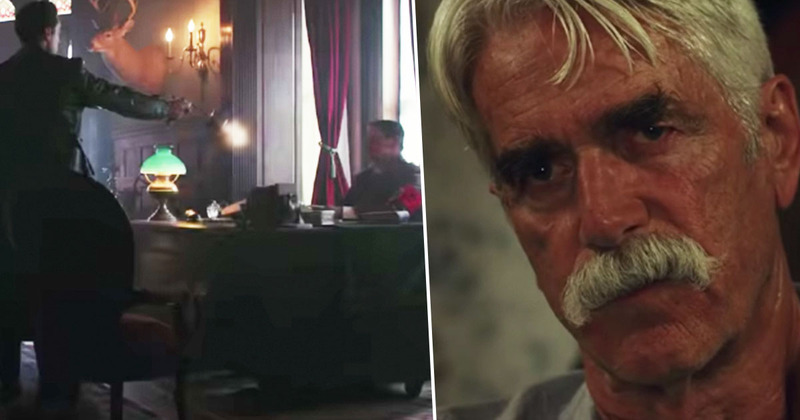 The trailer for The Man Who Killed Hitler and Then The Bigfoot has been released, and it’s just as incredibly action-packed as you might imagine. If you were as confused as I was when reading this headline, I’ll just clear things up; The Man Who Killed Hitler and Then The Bigfoot debuted at film festivals and is set for release in cinemas next month. The tagline for the film explains it’s based on ‘an American myth’, and the plot does what it says on the tin; according to IMDb it’s about a legendary American war veteran who’s recruited to hunt a mythical creature – in this case, Bigfoot. 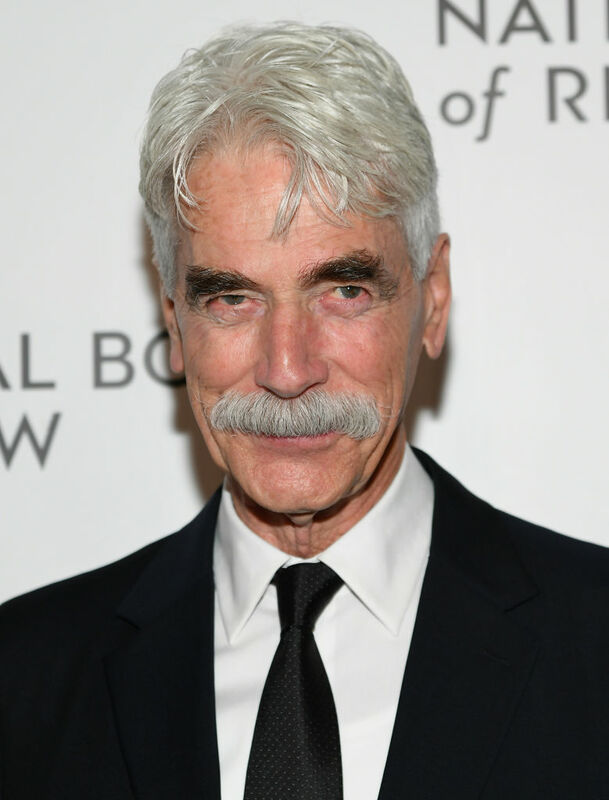 The movie stars Sam Elliott, who also appeared recently in A Star Is Born, and is directed by Robert D. Krzykowski. After going from playing Jackson Maine’s (Bradley Cooper’s) brother, to a man on the hunt for the elusive Bigfoot in the space of a few months, Elliott’s career has certainly taken him on a rollercoaster of different characters! The Man Who Killed Hitler and Then The Bigfoot follows the epic adventures of an American legend that no one has ever heard of. Since WWII, Calvin Barr has lived with the secret that he was responsible for the assassination of Adolf Hitler. Now, decades later, the US government has called on him again for a new top-secret mission. Bigfoot has been living deep in the Canadian wilderness and is carrying a deadly plague that is now threatening to spread to the general population. Relying on the same skills that he honed during the war, Calvin must set out to save the free world yet again. 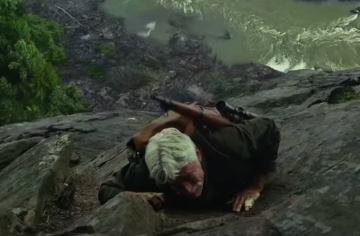 The trailer shows Calvin battling his way through all sorts of challenging and dramatic situations, including shooting the leader of the Nazi party, getting caught up in an impressive fight scene during a mugging, and scaling the side of a cliff. One thing the trailer doesn’t give away is that at one point, the main character gets vomited on by Bigfoot. Despite the title of the film assuring us it’s already going to be a surreal couple of hours, I think this particular scene might really top it off. More than anything, Calvin Barr spoke to me. I didn’t know much about that war he was in [World War II]. I talked to a number of people in that war, but my war was the Vietnam War. I think on some level, war is war; and PTSD is PTSD, and I think Calvin suffered from it. That was part of his persona, at least that was my take on it. I understand lost love, and I think that can destroy a man more than anything if it was a deep love that is lost somehow. There was a lot I understood about Barr, and I like to think that I’m a decent human being, and I know at the core, Calvin Barr is a decent human being. There were a lot of things that spoke to me about him. Being vomited on by Bigfoot was not one of the things I knew about. I’m not sure anyone could relate to that particular experience, but if you’ve ever wanted to know what it’d look like to have a mythical creature throw up on you, I guess you’ll have to watch the film! The Man Who Killed Hitler and then The Bigfoot is set to be released in the US on February 8, 2019.